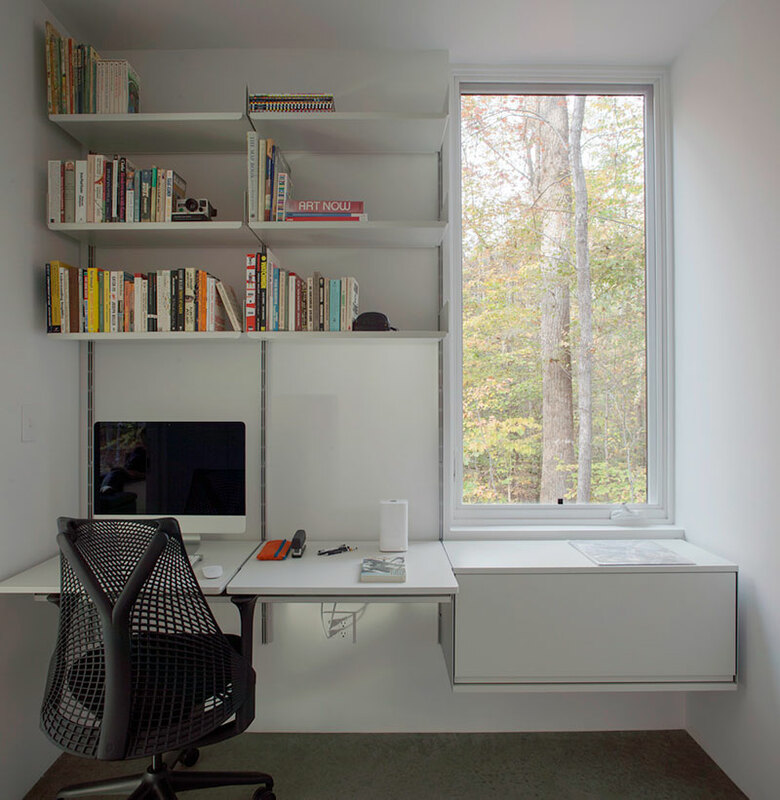 A minimal house in the style of a low black box by In Situ Studio. 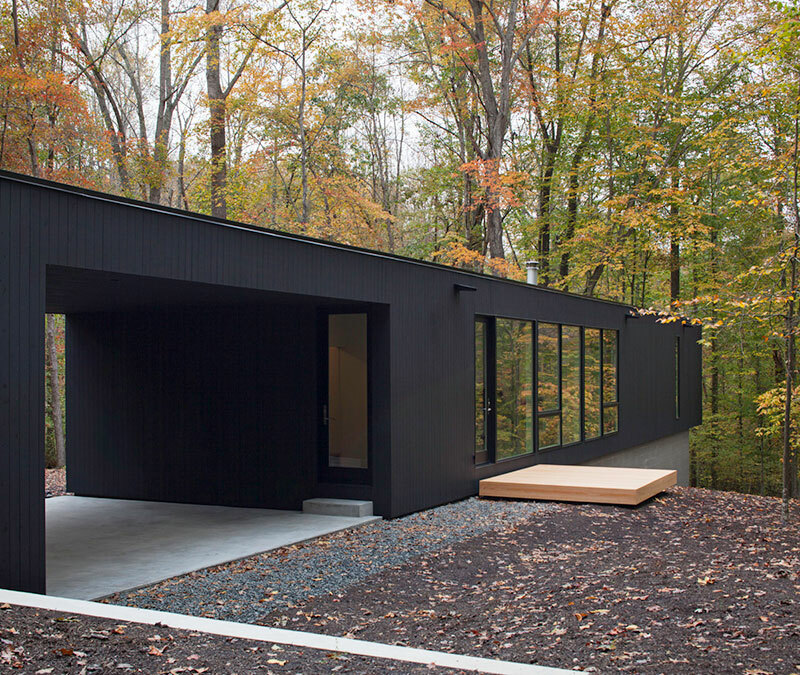 The house has nice lines that mimic the horizon along a sloping, wooded area. 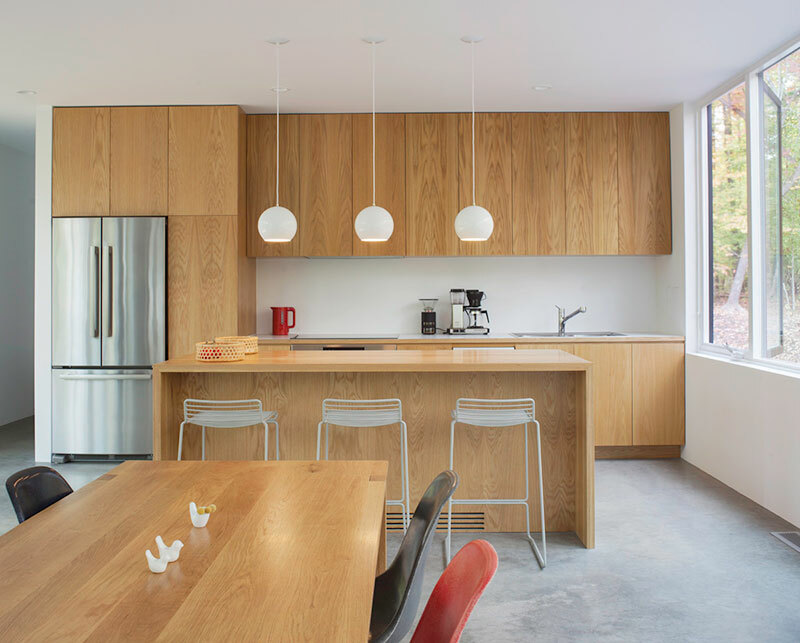 The design follows their philosophy of taking pleasure in simple things and listening to their clients to "aid them in distilling their thoughts into a singular, poetic design concept." The Corbett Residence is located on a wooded site, down a winding drive, near Bahama, NC. The drive is very thin and meanders through the trees to protect the house from view until arrival. 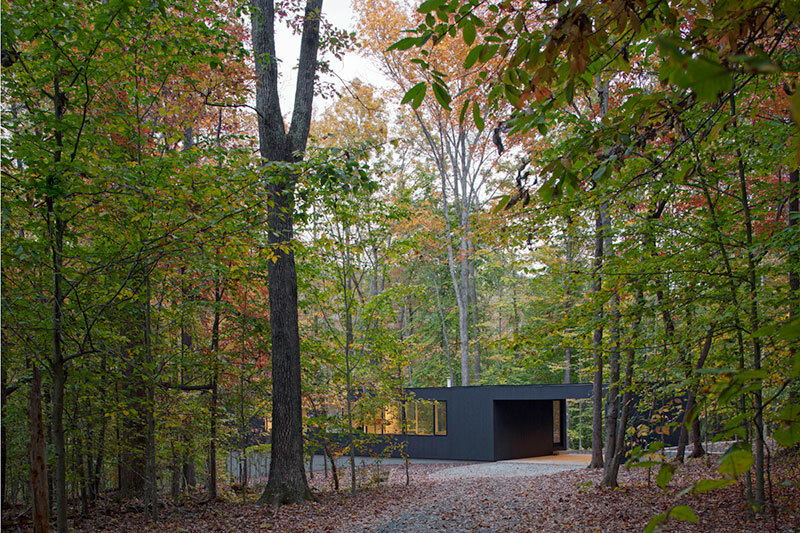 The house is a low black box that strikes a line across a sloping, wooded site, mimicking the horizon. 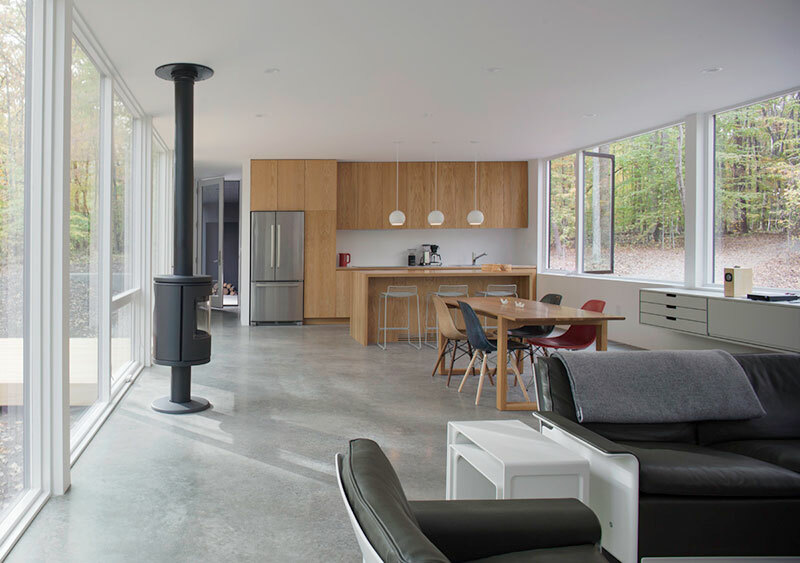 It is placed at the edge of a descent to a creek and is oriented to admit ample natural light and capture views of the forest. The east end, where the master bedroom is located, is glass, framing a view of a large red oak tree and a forest floor blanketed with ferns. Our clients, who are very restrained, brought beautiful ideas and precedents to the table and challenged us to include only necessary things. 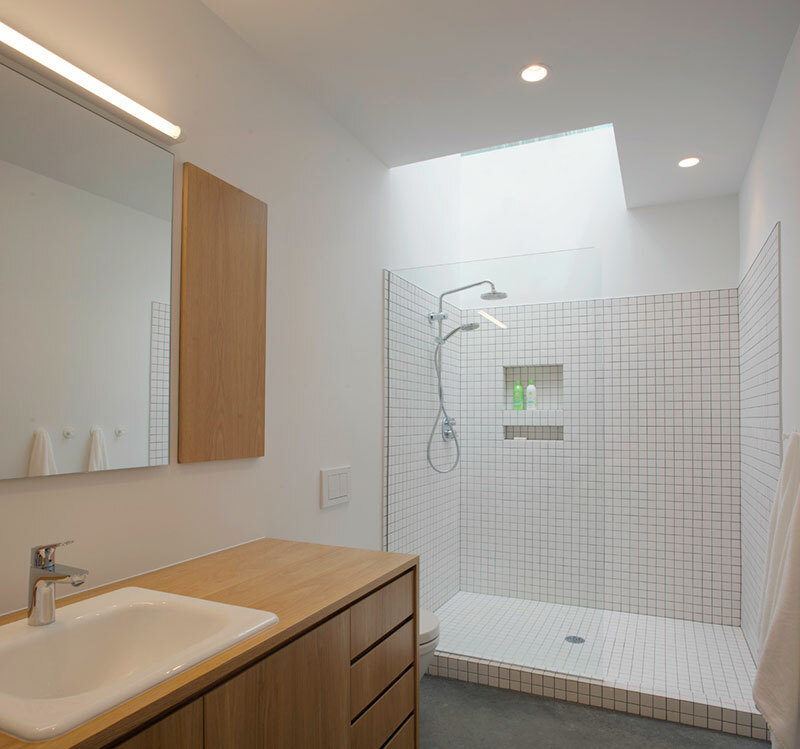 A minimal house in the style of a low black box by In Situ Studio.